On Friday, the father and family of Sarah and Jacob Hoggle will mark the fourth year of their disappearance. GAITHERSBURG, Md. 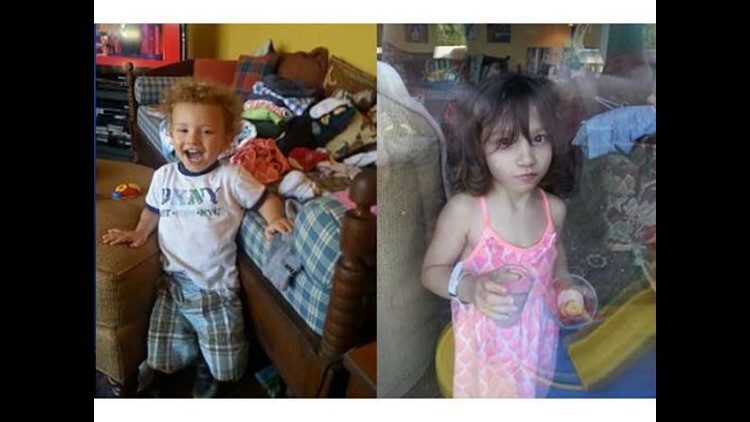 - Friday marks four years since two Montgomery County toddlers disappeared allegedly at the hands of their mother, Catherin Hoggle. She was the last person seen with her children, 3-year-old Sarah and 2-year-old Jacob, on September 7, 2014, according to police. For nearly four years, Hoggle has been undergoing psychiatric treatment at a Maryland government hospital. Before this, her family said she had a significant history battling schizophrenia. “Well, I don’t want to talk about any specific conversation but I do have regular contact with Catherine,” said Catherine Hoggle’s attorney, David Felsen of Felsen & Sargent LLC. Prosecutors have still not been allowed to question Catherine Hoggle because a judge keeps finding her incompetent to stand trial. For the family, one of the most painful questions is: How long will this go on? In the beginning, Hoggle was only facing misdemeanor charges. Under state law, Felsen said that means you can only hold a person for three years. It’s longer for murder. “And when that three-year date was arriving, recognizing the mandatory nature of the statue, the state’s attorney then indicted her through the grand jury process for the charges that she now faces,” said Felsen. A Montgomery County States Attorney’s Office Spokesperson said this changes the time held to five years. “We’ll deal with the timeline when we get to the timeline,” Felsen said. Sarah and Jacob’s father, Troy Turner, had always believed his children were alive, until more recently. A person close to Turner told WUSA9 a vigil is planned for Friday to mark Sarah and Jacob's disappearance. It will be the first gathering where Troy’s family will be mourning the kids. Turner has been an outspoken critic of the process. He said state laws protected Catherine, not his children. The candlelight vigil for Sarah and Jacob will start at 7:30 p.m Friday at the Chick-fil-a parking lot in Germantown. It is the same location Catherine Hoggle fled in 2014 when Turner started to press her about the whereabouts of Sarah and Jacob.